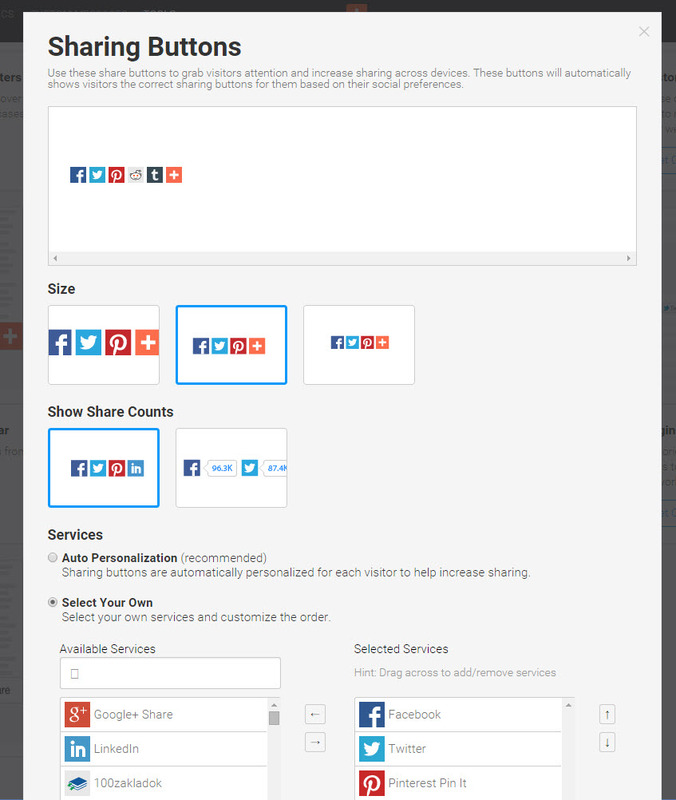 By Default, the ##SOCIALBOOKMARKS## mergecode will render the AddThis preferred services icons. You may wish to use different icons or specify certain social media services to display. If you wish to use custom code you can get the snippet from www.addthis.com. Go to Tools in the top right of the horizontal nav bar in AddThis. Then, select the sharing tool of your choice.Grab everything from this code box. 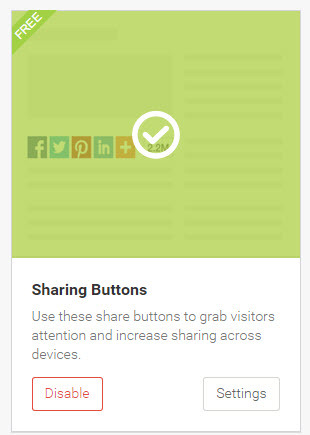 By default, most themes come with Sharing Buttons as the main share tool. You can then go to Settings and get the code to put in your theme. 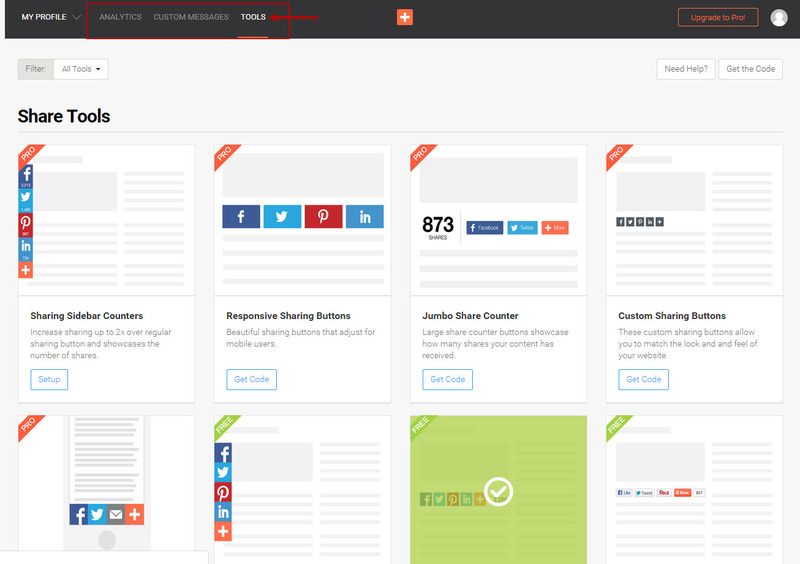 Here you can customize the look and feel and what social media platforms you will have to share to. Scroll down a bit further to find the code to submit. Step 1 will contain the user account number as well as you can see what's highlighted in yellow. it will look like "ra-52a73dd9123981239812cd". Place this in your Global Theme Settings by navigating to Themes > Edit Theme > Global Theme Settings. You can also use this to replace the default code from the ##SOCIALBOOKMARKS## mergecode. Use their other Docs to learn how to make custom icons besides the preferred buttons.